Before you start marketing on Instagram or any other social media platform, it’s important you know who you want to serve. This can make your marketing more effective and helps you create content your tribe really wants. If you’re not sure who your target audience is, read this post: Defining Your Ideal Client in Your Virtual Assistant Business. When it comes to creating your Instagram bio, you don’t have a lot of space. So focus on hitting the highlights of what you do. For example, Stephanie Simms of @SimmsVAsolutions has a short and sweet bio that covers what she does. Another virtual assistant that captures her personality and her services in her bio is @SarahClarkVA. 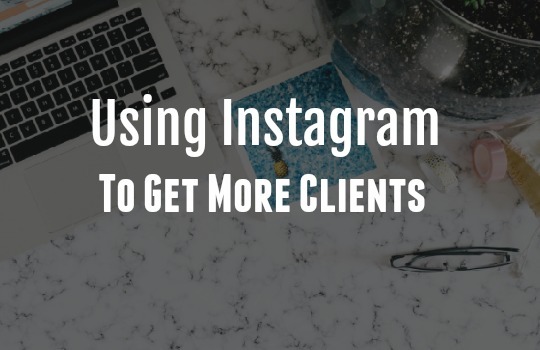 If you want to get noticed on Instagram, you need to post photos that grab attention. These pictures can be behind-the-scenes work photos, glimpses into your daily life, and quote graphics that are inspirational. Instagram fans love hashtags and use them frequently. It’s one of the easiest ways to be found on this platform. But don’t abuse hashtags by using ones that aren’t relevant for your image. For example, if you post a personal picture of your poodle, don’t tag it with #business. If you do, you risk irritating potential clients. Some good hashtags for VAs are: #virtualassistant #virtualassistance #womeninbusiness #businesschicks #wahm. 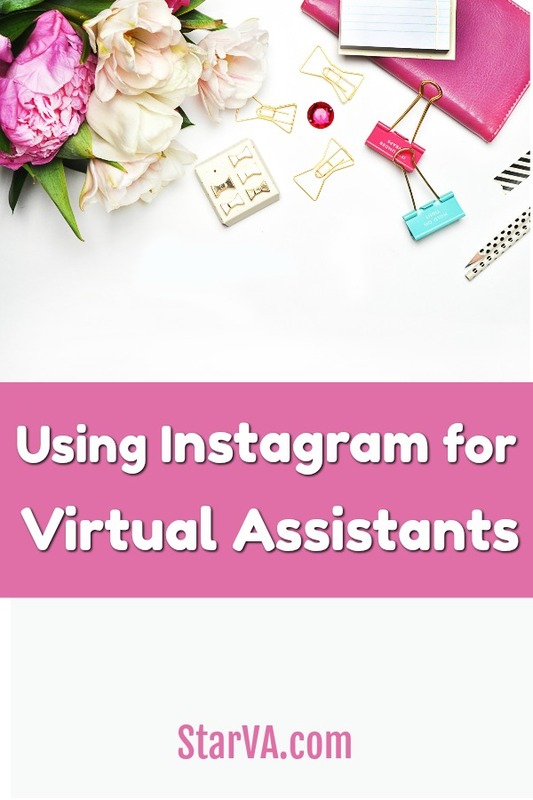 These hashtags will help you connect with other VAs and give you ideas on how to market yourself on Instagram. You can also use hashtags that are related to the services you offer. For example, if you’re a copywriter, then you may want to use #contentmarketing. Or if you offer design services, then try using #webdesign. Now, if a potential client is looking for a web designer, he can search through that hashtag and find your images. Don’t post your own photos then immediately log out of Instagram. Take a few minutes to comment on other people’s photos. You might want to give a compliment (“I love your hairstyle!”) or ask a question (“Your office chair looks so comfy. What brand is it?”). You should also take time to look through Instagram’s suggested users. You should follow other VAs, potential clients, and brands you want to keep up with. You never know who might hire you or recommend your work based on your following! Like this post? Follow @MyStarVA on Instagram for more!